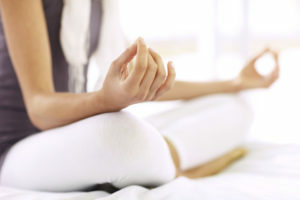 Learn to calm your mind and relax your body thru meditation practice. Excellent for reducing: anxiety, muscle tension, racing thoughts. May have a positive effect on a variety of diseases, addictions, emotional pains thru the reduction of stress, worries and tension. Ongoing group 730 PM-830 PM Thursdays. Group format: Between 4 and 8 members. Maximum is about 12. A typical session begins with a warm up such as stretching and yoga like movements. Next we move to focusing on intentions of the meditation ( such as relaxation, feeling peaceful, healing or gaining insight into our self or life problems ). Next some heart clearing that might focus on: forgiveness, generosity and gratitude. Methods draw on a variety of traditions such as: Zen and Tibetian Buddhism, Hinduism, Judaism, Christian, Muslim, Native American Indian, Inca and New Age. No beneficial method will be ruled out. The techniques are practiced without the aspects of the organized religion they are drawn from. The spiritual aspects will be considered in the purest sense, again, without necessarily embracing or rejecting the religious overtones. Methods include: A variety of breathing techniques, proper posture, mind focusing techniques such as mantra or sensory grounding, guided visualizations, sitting in silence, walking meditation, on days everyone is OK with effects of incense and/or aroma therapy, introduction to neurofeedback, sound therapy such as ocean waves, tibetian singing bowls and gongs, self talk such as prayer, affirmations, connecting to one’s higher self. Wear comfortable clothes. Shoes off. Cushions will be available and chairs too. It’s important to be comfortable without straining oneself. Talk during the session will be limited to very brief remarks about one’s outside life with a focus on how meditation is impacting their life and how their meditation practice is going or not going. The leader will give a short introduction with some interesting information each week about meditation. At the end of the session members may choose to remain in silence for a while or share their meditative experience. Fee is $65 per session. Insurance may cover part or all of the fee. If there is a financial hardship, fee may be reduced up to 30%. Twenty percent discount available with our ten session package for $400. Note: Missed discounted session will be considered part of the 10 session package.